Governor Hopper: It is in that spirit that we gather here tonight, to acclaim and wish God's speed to Senator Jefferson Smith! Jefferson Smith: Thank you. I-I I-I can't help feeling that there's been a big mistake somehow. James Stewart and Frank Capra. One needn't know much more going in to be assured that this will be an enjoyable film. Together they take on the Washington elite with this dramatic comedy about a naïve Washington outsider who gets appointed to the Senate and stands alone against corruption and graft. 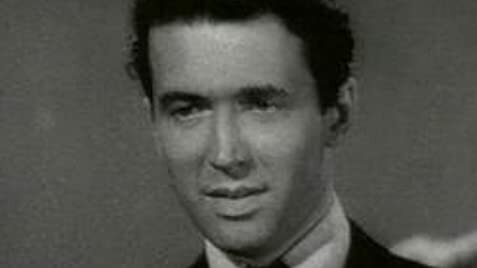 Jefferson Smith (James Stewart) is appointed from an unnamed state after one of its Senators dies. He is appointed because the political fat cats need someone who will not seem like a crony, but who will not stand in the way of a graft scheme for a pork barrel dam that will make bigwig Jim Taylor (Edward Arnold) millions. When the wide eyed Smith gets to Washington, he discovers the corrupt bill because the dam will stand in the way of his own proposed bill for a children's camp. When he tries to stop the project, Taylor's political machine frames him to make it seem like he is the one taking graft. This leads to the dramatic confrontation in the Senate, where Smith filibusters in an attempt to get the truth out. This film is wonderful in so many ways. The story is a classic struggle between good and evil. In typical Capra style, the protagonist and antagonists are exaggerated so there is no confusion as to who are the good guys and who are the bad guys. If there is one clear message in Capra's films it is that those with strong moral fiber never give up hope. He likes to create utterly hopeless situations for characters to test their integrity, and rewards unswerving adherence to basic values and principles by triumph against the odds. I was dismayed to see a comment, obviously from a young viewer of this film, that said that the characters weren't realistic because no one used profanity. This is a sad testimonial to our culture, when it inconceivable to young people that there was once a time when profanity was the exception and not the rule. Stewart is brilliant as the idealistic and awe struck kid from the backwoods who is overwhelmed by the glory of Washington, with its monuments and history. The story brings us a confrontation between political expediency and idealistic principles with the message that the truly great men are the ones that don't compromise their principles to hold on to power. Stewart also brings a whole treasure chest of bumbling comedic sight gags that make him all the more lovable in the part. 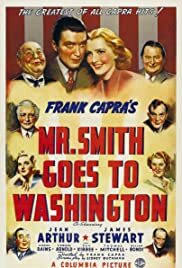 Jean Arthur is fabulous as the tough and savvy assistant who is jaded by Washington politics, but gets a fresh injection of fervor as she listens to Smith's noble homespun philosophies. Claude Rains is also masterful as the adulterated Senator, who sold his soul to corruption for a chance at the presidency. He plays the simultaneous sense of guilt and ambition with a torment that is clearly ripping his heart out, and the power of both emotions portrayed in his performance makes his character both repugnant and pitiable. This film is a national treasure. It is in my top 50 list of all time. The story of corruption in politics and the greatness of the men who resist it is timeless and would not be lost on the politicians in Washington today. A 10/10. 146 of 165 people found this review helpful. Was this review helpful to you?